Students & teachers, now get Adobe Creative Cloud – including all-new tools like Photoshop CC 2015, Illustrator CC 2015, InDesign CC 2015, Muse CC 2015, Acrobat DC 2015, and more – for a reduced price of US$19.99/month for the first year. That’s 60% off the regular price. This offer is limited to one (1) purchase of one (1) Creative Cloud annual membership per customer, and may not be assigned, exchanged, sold, transferred, or combined with any other discount. Any current or recent student or teacher (aged 13 and older) can take advantage of these deals… For showing academic eligibility, the company says: “Documents dated within the last six months are considered current.” Or, if you happen to have a school-issued email address (such as “.edu” or “.k12”), then you will be instantly verified. The alternative for academic customers is to get the traditional Student & Teacher Editions which have the CS6 version from 2012, and are also offered at up to 70% off the normal commercial prices. They run from $119 to $999 for a perpetual license depending on the product. These older editions require academic validation once up front at the time of purchase, and then can be used indefi­nitely but can not be upgraded. Outside of that, there are a few other restrictions. So which route is best for you? In terms of features and functionality, there is no difference between the education version of the Creative Cloud and the regular one. The only distinction is that academic eligibility verification is required at the time of of purchase and again at your yearly renewals to retain the school discount. And after your first year, renewals will be at the then-current education price ($29.99 a month at present). If you’re trying to decide which path to choose, there are different pros and cons to consider for each option. For example, the Creative Cloud can be installed on both Windows and Mac and in multiple languages, whereas the traditional software is locked to one platform. And if you’d like to get all the current leading industry tools with the full Creative Cloud (or even just check out the free level of membership), Adobe has been adding excellent value there. » Adobe CS6 vs. Creative Cloud (CC) – Which Should You Choose? While Adobe continues to offer CS6 licensing, the vast majority of customers are signing up to use more of the top applications through the Creative Cloud. The Cloud already includes all 15 of the CC 2015 desktop programs (including Muse and the Edge collection) plus many other useful tools and services. 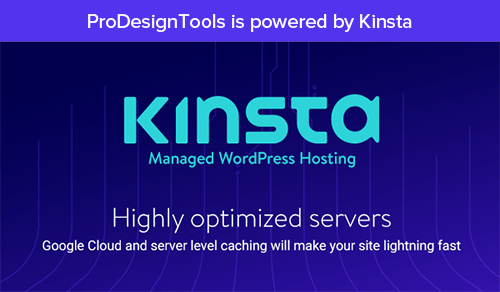 Behance ProSite and Business Catalyst are in there for easily creating and hosting your websites, as well as Lightroom 5 (for photo­graphy), Typekit (for fonts), and the Digital Publishing Suite (for creating unlimited iPad apps) at no extra cost, plus a newer version of Acrobat Pro (version XI). In addition, all CC subscribers get many hours of free training with hundreds of tutorials from industry-leading providers. All Creative Cloud members also have access to download, install, and run the CS6 tools as well (together with or instead of CC), if desired. Which way is right for you? If you go with the perpetual licensing, you pay a higher cost upfront for an older, static version of the software. If you go with the Creative Cloud, there’s a world of the latest/greatest tools you can use – all the best Adobe has to offer now and in the future – with ongoing upgrades included plus other benefits at an affordable monthly price point in a comprehen­sive package that’s receiving nearly 5-star reviews from customers. Do you have any questions on this post? Just ask them below and we’ll get you answers fast! This is a fantastic offer and I advise any student that is taking their course seriously or planning to go into a specialist position or even start their own business to grab this deal with both hands. We would love to pay this much smaller monthly payment than what we currently pay. The package is well worth the investment! Creative Cloud at $29.99/mo. is a great price, but as a student I was still on the fence about whether I could really afford it. When a brief promotion ran last October for $19.99/mo., there was no second thought and I bought it immediately. I think there is a fantastic market of students who would more readily buy Creative Cloud at $19.99 — it’s a much easier sell to friends when you can recommend a price that seems relatively inconsequential — vs $29.99, which feels like much more of a substantial amount than it may actually be on paper. I overlook outright purchasing of the software, even at a substantial discount, because the long- and short-term benefits of Creative Cloud far outweigh the financial effort and upgrade risk of a purchase for any one program or package. i am taking a night course at my local uni so i was able to get this deal……the whole of the master suite cs6 and more for less than 1 quid a day ! Thanks to everyone for their feedback. It look like the $19.99 Creative Cloud Student promotion is back now, for a short time only – so don’t miss it! Sounds like a good price especially when money is low, definitely worth it! Paying $19.99/month for a single product (Adobe Acrobat Reader XI) is absolutely ludicrous. I don’t know what the hell Adobe is trying to do with Creative Cloud, nor why I would allow them to store my data on their servers (anyone remember that one recent security breach?) I would rather buy the product once and pay full price (because I don’t have to get every single new version increment) rather than get updates but pay beyond full price in a matter of months. But since that option is not available directly through Adobe, looks like I’m going try another route. If so, that’s a US$449 full product – and yes it can be subscribed to for $19.99 a month (with ongoing upgrades included) instead of paying that large upfront cost, but you don’t seem to be aware that it can also still be purchase the traditional (perpetual) way as it always has… In other words, Adobe gives the option of which way you want to purchase and use this tool, it’s your choice. Finally, the article here above is for education users. Students and teachers actually can get access to the entire Creative Cloud for $19.99/month (which includes Acrobat Pro XI, Photoshop CC, Illustrator CC, and all the other tools & services) – basically all the top creative tools Adobe makes. Or, academic customers can choose to buy specific older CS6 versions outright from Adobe instead, still with a significant discount. So, again, your comment doesn’t really apply. The file servers used for the Creative Cloud are not Adobe’s – they are actually in Amazon’s highly-secure AWS storage facility… That is very different from the other data breach you were referring to. But using the online data storage that comes with Creative Cloud is completely optional anyway, if you didn’t want to. 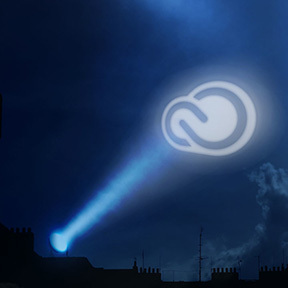 What Are the 10 Most Common Myths About Adobe’s Creative Cloud? I read the above and am still not sure what my costs might be. I am a recent student who graduated and I just received a notification that I have 3 days left with my CC account. How much will it cost me going forward? So if you have anything with a date or validity within the past 6 months that says you’re a student (e.g., your student ID, transcript, tuition bill, etc), then you should be able to get the education discount. Or, even simpler: Adobe has now made it so that if you simply have a school-issued email address (like ending in “.edu” or “.k12”), then you will be instantly verified for the student/teacher pricing. I have had the creative cloud for a year now, and the price has bumped back up to $24.99 a month, from $14.99(aus). I am still at uni, and will be for several more years. Does this mean I will never again receive student discount, even though I am a student? Actually Slilly, you are still getting the education discount – and will continue to do so as a student! The regular commercial price for the complete Creative Cloud 2014 bundle that you are receiving is actually twice that, at $50 a month. So you’re paying half that amount. The $14.99/$19.99 rate you had before is the first-year promotional pricing for all academic customers – in other words, you get a bigger discount for the first 12 months when you sign up. But make no mistake, there are plenty of folks out there who would love to have your $24.99/$29.99 instead, which is the standard student/teacher rate. Are there any differences between student & teacher edition of Adobe CC versus retail editions? 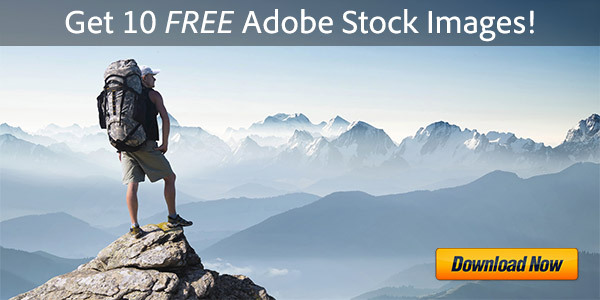 What’s the Difference Between Adobe Education Editions vs. Regular? 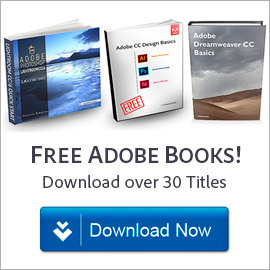 I just subscribed to Adobe cc from this site but don’t know where to look or how to access it/download it to my computer and devices. …or if you prefer, you can use the CC 2015 direct download links instead. i need to download CS6, so can any one tell me how i will download and install in my computer ? 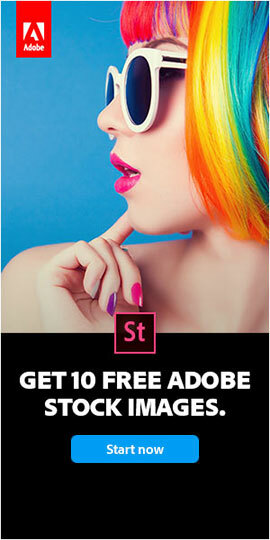 Hi David, we have the old CS6 direct download links here – which will work for a free trial. There are instructions given on that page that you can follow. However, as of the start of October 2015, Adobe finally removed the online sale of CS6 from their website… The reason is because the software is 3&half; years old and increasingly unsupported; they stopped releasing updates for it some time ago as the newer CC quickly grew and took over. With the CS6 software EOL and end of support, there are no updates, no bug fixes, and no guarantees it will run on future operating systems. So at this point we’ve stopped recommending it as a good or viable option going forward. I am an American student studying in Italy. I am required to purchase Photoshop. I tried to place an order but it won’t let me put my American billing address for my credit card. I previously tried to buy it from an American site but they could not give me a code that would authorize in Italy. Can you help me finish my order so that I can use the software? I have already shared my verification with you. Thank you!! Hello Emma, it sounds like you need to have an Adobe account with a country (US) that agrees with your billing address… It’s not possible to change the country of your existing account, so the best solution is to simply create a new Adobe ID (free) and your problem will be taken care of. And don’t worry, you’ll be able to use CC in any country (Italy included) once you purchase it from the Adobe website with that new ID. i have Adobe Creative Suite 5.5 Design Premium. Old technician resigned and i am the new tech guy. I have register email address and product KEY, but i don’t have register mail password. i can’t check how many computers left and how long i can use it. there is no clue. Can you please help me. Greetings Twlwin – if it’s the Adobe Student/Teacher Edition, then as mentioned above the product is not transferrable to other persons or parties… That can’t be changed or transferred. But if not – if it’s the commercial release instead – then you do have the license key then we would just proceed with that. Try installing and activating the software. The program will tell you if you have any activations left – normally you get two computers, and if necessary can move the applications between computers. If it doesn’t allow you to activate the software, then you’d need to contact Adobe customer service directly… It’s nothing that we have the power to control or tell you the details about, sorry! I currently have an educational CC subscription which is coming up for renewal at the 29.99/month rate. That rate is really too much for my usage. How can I qualify for the $19.99/month rate? If I drop my subscription for a month can I then get the introductory rate? 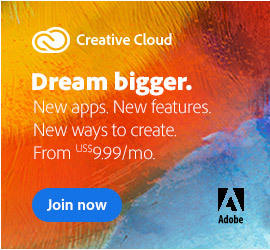 Eligible students 13 and older and teachers can purchase an annual membership to Adobe® Creative Cloud™ for a reduced price of US$19.99/month for the first year. After the first year we will renew your contract automatically for another year at the then-current standard monthly price unless you cancel. This pricing is valid for purchases of an annual plan, which requires a 12-month contract. This pricing is available for first time membership only and limited to eligible education customers who purchase directly from the Adobe Store. This pricing is not available to OEM, commercial or volume licensing customers. This pricing is limited to one (1) purchase of one (1) Creative Cloud annual membership per customer. Offer may not be assigned, exchanged, sold, transferred, or combined with any other discount or offer, or redeemed for cash or other goods and services. This pricing is subject to change without notice. Void where prohibited, taxed or restricted by law. Generally, the renewal rates for CC membership have been strong… But if you want or need a lower-cost option, then you could consider downgrading to the $9.99/mo. Photography Plan, which includes Photoshop CC and Lightroom CC. I am an 8th grade ICT 2 (Information Communication & Technology) Teacher at New Hope Middle School. We currently have 431 8th grade students and 6 8th grade ICTII teachers. How much would it cost to purchase Creative Cloud for our district? Each student and teacher has a school distributed MacBook of their own. Thank you! Please email me your quote as soon as you can. My director would like this information for the budget ASAP. Hi Celeste, it sounds like what would work the best for you – and be the most cost-effective by far – would be a Creative Cloud K–12 or district-wide site license… The Adobe K-12 School Site License and the Adobe K-12 District License offerings are available worldwide for qualified primary and secondary (K-12) schools and districts through the Value Incentive Plan (VIP). You can view the eligibility requirements here. The K-12 License offerings are based on a minimum license purchase – and additional licenses, over the minimum, may be added at the time of purchase. The last time we checked the prices for this program, the K-12 School Site License started at US$2,500 for 100 licenses. The K-12 District License started at US$12,500 for 500 licenses. Additional seats over those quantities were $25 USD per license.